The elapsed time from emission to reception of the signals is proportional to the level in the tank. Ultrasonic sensors are ideal for simple standard applications, both for liquids and for solids. The VEGASON 63 is an ultrasonic sensor for continuous level measurement of liquids and bulk solids. Typical applications are the measurement of liquids in storage tanks and open basins. 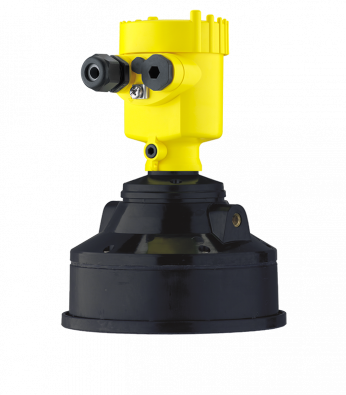 The sensor is suitable for continuous level measurement of bulk solids in small and up to average-size vessels. The non-contact measuring principle is independent of product features and allows a setup without medium.